So lovely to catch up with this crew again, Paige & Damien's little girls are so completely adorable and totally up for fun and games! The last session I did with them, the youngest, Kaylin was just a bub, now she's a toddler and doing her best to keep up with dynamic big sister, Amayla, now 3. 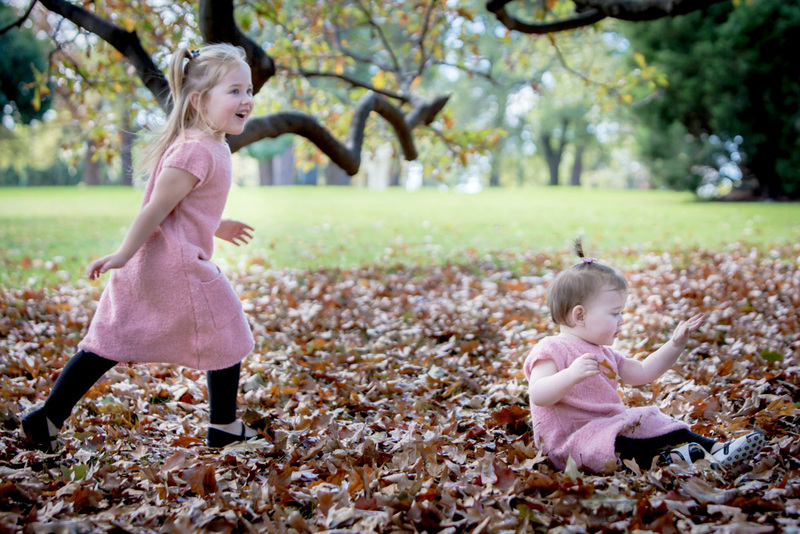 With matching pink knit dresses and black tights, the girls look so gorgeous with the autumn colours.. this is a fun and crazy energy packed romp at Fitzroy Gardens, near the Temple of the Winds.